A goods vehicle transporting cattle meat was set on fire by unidentified miscreants on Sunday evening on Kanbargi road. The meat was being illegally transported to a processing unit at Auto Nagar here from Gokak. 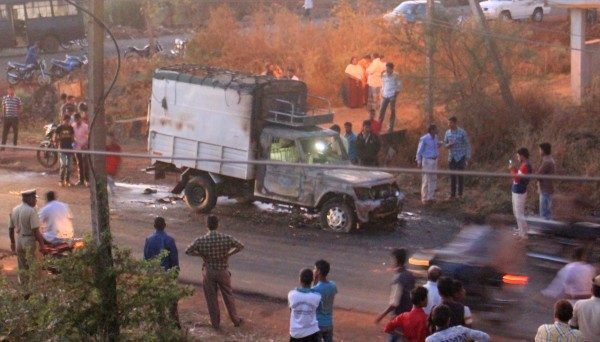 Sources say a group of five to six youths stopped the vehicle, poured kerosene over it and set it on fire. The front portion of the goods vehicle was completely damaged. The Mal-Maruti police have registered a case.